The 5 Best Healthy Cookbooks of 2014 - Eat. Fit. Fuel. Looking for a terrific new cookbook to start the new year off right? Check out our top five cookbooks of 2014. This top-selling book was written by Yotam Ottolenghi, author of Jerusalem and Plenty. In his latest cookbook, you will find recipes for Tart Apple and Celery Root Salad; Saffron, Date and Almond Rice; and Rice Noodles with Green Onions and Edamame. All three books have gorgeous photos and delicious recipes that are a perfect addition for any type of cookbook collector. A discount is available from some online distributors if you purchase all three cookbooks at once. This cookbook written by Food Network star Melissa D’Arabian and acclaimed cookbook author Raquel Pelzel was published on December 30, 2014, just in time for the new year. Recipes include Almond Waffles with Raspberry-Basil Sauce, Kale and White Bean Caesar Salad in a Jar and Slow-Roasted Tomato Spaghettini. When it comes to healthy eating and cooking, this cookbook shows that you can eat well without breaking the bank. If you know someone who loves Cuban, Dominican or Puerto Rican food and is trying to stick to a healthy diet, this is the cookbook for them. 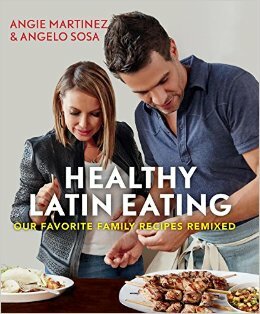 Although Latin cuisine is not typically thought of as lighter fare, authors Angie Martinez and Angelo Sosa provide tips on how to make healthier substitutions. Favorites like arroz con pollo and opa viejo [NA2] are made over so you can enjoy them without the guilt. 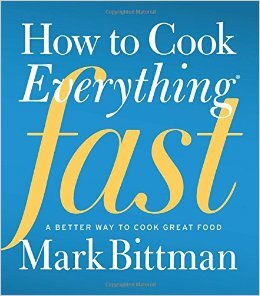 In early October 2014 Mark Bittman released his latest cookbook. He provides over 2,000 recipes for main dishes, including Charred Brussels Sprout Salad with Walnuts and Gorgonzola, Spaghetti and Drop Meatballs with Tomato Sauce and Apple Crumble Under the Broiler. He also shows you how to choose and prepare fresh ingredients efficiently. Pre-planning is an important component of healthy eating. 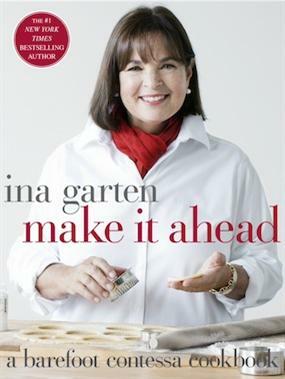 Ina Garten does a wonderful job showing us recipes that can help ease the dinnertime routine by being made ahead of time. She also provides practical tips for storing food properly to keep it as fresh as possible (you know how we love food safety!). Ina loves using wholesome ingredients, and most of the recipes included can fit into a healthy eating plan, while the rest can be eaten once in a while. This is definitely a great addition to any cookbook collection.